We all know recommendations from our friends have a huge impact on our buying decisions. They can sway us even when we're trying to be cautious. One of the best things about marketing on Facebook is ability to get those recommendations in front of your customers. In fact, Facebook is probably the most efficient & non-intrusive way to do this ever devised. I work for a jewelry store in Minneapolis that was slow to adopt Facebook & was lagging behind the competition. I knew that large numbers of Facebook fans for small business pages didn’t come overnight -- but I needed to assemble an online tribe quickly to jump-start our Facebook presence. Luckily, Facebook’s advertising tools allow small businesses to do just that! With Facebook, I could easily advertise to specific target markets without breaking the bank -- and reach a huge number of potential customers for a modest investment. You obviously want Facebook Likes for many reasons, but the most important is to reach as many of your customers as possible. As I mentioned above, recommendations from friends are super important. Here's where that applies. 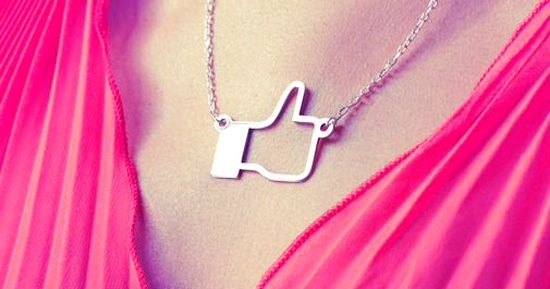 You can run Facebook ads that show people that their friends Like your brand. The ad units are called Sponsored Stories. 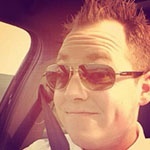 Facebook developer, Phil Zigoris, explained Sponsored Stories in this Facebook video. We wanted to give a way for application developers, page owners, place owners, to be able to promote their content in a way that's as core to the user experience as the News Feed. 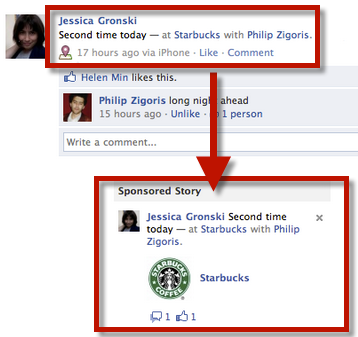 Only Sponsored Stories generated by the activity of your friends appear in your News Feed. Facebook officials claim that Sponsored Stories help boost brand lift for businesses -- improving ad recall & the likeliness that someone will recommend your company to a friend. 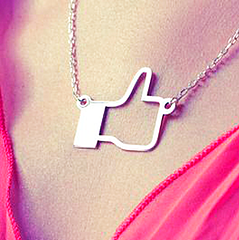 At Wixon Jewelers, Sponsored Stories led to a steady & rapid increase of Facebook fans & Likes. Many times these fans were already our customers -- people who just hadn’t thought about following us online. So the Sponsored Stories worked great! 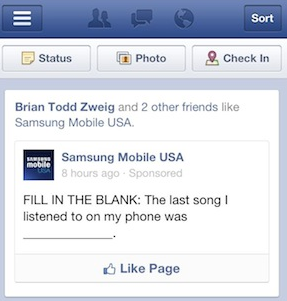 “Page Like” stories asking people to Like your page are the most popular Sponsored Stories. But businesses can also use Sponsored Stories to promote offers, get Likes on individual posts, and promote Facebook check-ins when people visit their locations. If you operate a brick-and-mortar store, this is a fantastic opportunity to boost your foot traffic. Hopefully you’re already running promotions for people who check-in at your store on Facebook. Now take it a step further. Facebook lets local businesses sponsor check-ins, which creates ads for their friends when somebody checks in at your establishment. What a powerful way to increase the online visibility of your retail location! So my friend Joe goes & checks in at Starbucks. That will appear in the News Feed & I may or may not see it. But Starbucks can come in & say, ‘I want to promote check-in store locations.’ So when I come to Facebook, I see this story that my friend checked in to Starbucks. Now I can click through, I can Like the Starbucks page from that story. And when I Like that page it creates more organic content. Due to constant changes to Facebook’s news feed algorithm (formerly called Edgerank), only about 10 to 15 percent of the people who Like your fan page will see your status updates. Don't get me wrong -- you can still reach & engage a large audience if you offer quality, shareable content, since virality is possible on Facebook. But don't count on it. Most the time you have to “pay to play” in order to reach as many of your fans as possible. As with any advertising, you need to monitor your campaigns to make sure you’re effectively reaching your audience & not spending too much money to do so. Update your ads & target markets often to keep advertising fresh for your key audience. Running stale content may be counterproductive & could create an even larger disconnect with some users. Facebook can be a powerful advertising tool when used correctly. Try out different ads, test them & figure out what is going to work for your organization. Businesses have seen a strong return by following the above steps to build their following. I recommend allocating $50 to test Facebook ads -- spending between $5-10 a day. I think you’ll be pleased with the ROI!